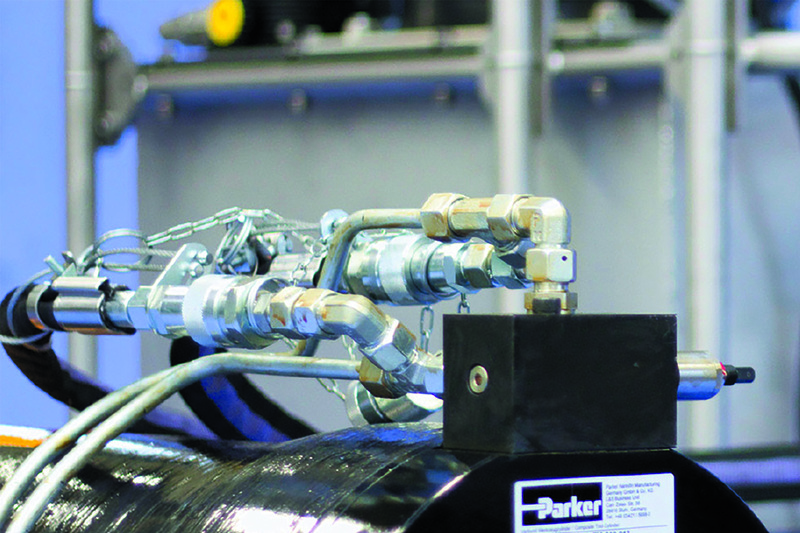 Hydraulic cylinders play a critical role for motion control within a wide range of industrial applications. They are available in a wide range of force capacities, sizes and stroke lengths, and are invaluable for tasks such as lifting, pushing and pulling of plant and machinery used in a wide range of industries, such as aerospace, oil and gas, materials handling and mining. Many of the basic principles behind the construction and operation of hydraulic cylinders have been established since the early years of the Industrial Revolution. And with a technology that has been so tried-and-tested it is easy to understand why many cylinders today bear a strong resemblance to those used many decades ago, or even longer. Nevertheless – as with many other types of industrial equipment – things move on. For example, the dimensions of parts used on today’s hydraulic cylinders have been largely standardised in order to allow more flexible and convenient interchangeability regardless of vendor or agent the part is source from. Indeed, the British Fluid Power Association (BFPA), the BSI Group (British Standards Institution) and the International Standards Organisation (ISO) have been instrumental in helping to establish a more level playing field in terms of sizes and specifications related to hydraulic cylinders. The Standard BS ISO 6020-2:2015 HFP – Mounting dimensions for cylinders, 16MPa (160bar) series, is a case in point. While the main metal parts of a hydraulic cylinder can often continue to operate efficiently with very little maintenance over many years – including the rod, glands, pistons, spherical bearings, flanges and tubes, some parts usually need replacing more frequently – the seals, for example. There are many variables to consider when determining the best time to replace cylinder seals – types of oil used, frequency of use, temperature, what the cylinder is being used for and in what type of environment etc. although originally seals were made of leather, common materials used today include various types of rubber, polyurethane, PTFE, fabric reinforced elastomers and plastics. For applications where a particularly high level of wear resistance is required, thermoplastic seals could fit the bill. Seals made of this material can deliver a particularly high level of wear resistance, chemical resistance and resilience, operational reliability and service life. For the best possible selection it is advisable to discuss the particular use of your particular cylinder usage with a seals provider that has a proven pedigree within your own industry sector. The BFPA is also on hand to provide additional guidance. Traditional materials used to plate piston rods in hydraulic cylinders include nitride, chrome, chrome over nickel or other multi-layer/multi-process rod plating technologies. These coating materials may remain largely corrosion-free in many applications. However, in more challenging industrial environments keeping corrosion levels to a minimum can prove more of a challenge, and increase the total cost of ownership. The good news is that recent developments have focused on developing alternative coatings that offer considerably greater corrosion resistance – and thus less downtime and a reduction in required maintenance intervals. High pressure hydraulic products require high strength structural components. Traditionally, high strength steels have been used for typical mobile and industrial applications, while more expensive lower density alloys were used where reduced weight was critical. However, the introduction of carbon fibre composite materials has opened up new possibilities for the design of lightweight, high-strength components. These lighter-weight cylinders are suitable for a range of applications. Lightweight composite cylinders permit greater boom reach and a reduced stabiliser envelope for mobile concrete pumps. High performing composite cylinders can be ideally suited for various aerospace applications – for example to operate in wing flap test rigs. Faster acceleration, reduced energy demand and shorter cycle times are achieved by using composite hydraulic cylinders to operate an industrial robotic arm. Composite cylinders provide greater corrosion resistance and increased payload for sub-sea drilling rigs. Working offshore, weight is critical. Using lightweight, corrosion-resistant composite cylinders as assembly tools for wind turbines increase the work rate of crews, enhance safety and reduce crane loading. Reducing axle load through the use of composite materials frees up capacity elsewhere; for example, in military applications for additional armament. Another area of development that supports the Industry 4.0 concept is that of RFID (radio frequency identification) technology that can open up new approaches to seal management. RFID chips placed onto seals can facilitate more accurate identification and traceability; substantially simplifying maintenance and replacement tasks. Trevor Hornsby is Chairman of the British Fluid Power Association (BFPA) Technical Committee 3 (TC3) Cylinders.